This originally started of as an exercise last year to learn some of the new ZBrush hard surface modeling tools like ZModeler. 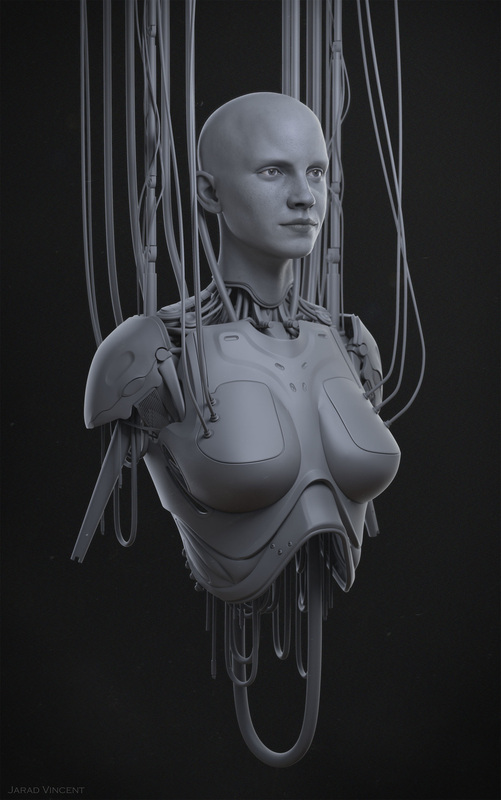 The concept is from Eugeniy Gottsnake's concept "Android Girl"
I did not feel like modeling a full character so I decided to also take elements from the "Terminator the Sarah Connor Chronicles" promotional art. 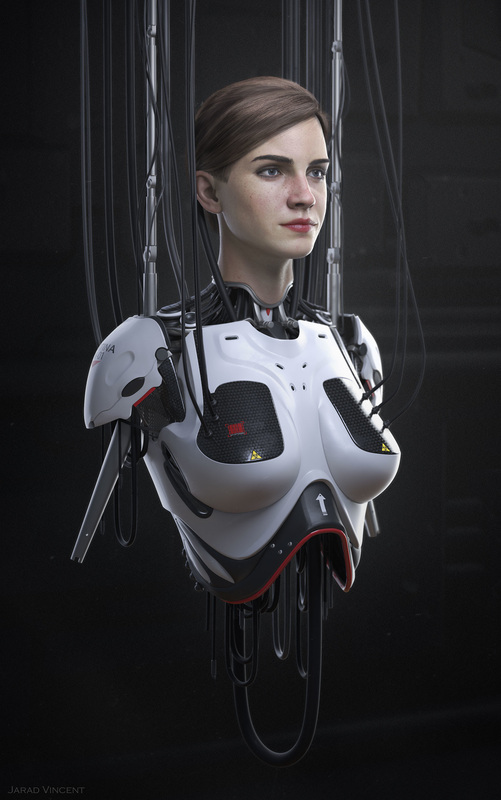 Everything was modeled in ZBrush and Maya, rendered in Keyshot, textured with Mari and compositing done in Photoshop.